For a slightly-older-than-middle-age British couple, a weekend in Paris may represent the perfect occasion to mark their 30th wedding anniversary, to recapture the romance and forget the pressures of their lives back in Birmingham. Or, it could be the perfect setting to wreck their union amid a tempest of acrimony and contempt over longstanding slights, imagined or true. Jim Broadbent (an Oscar-winner for "Iris") is one of the most under-used of actors today, no matter how often he is used. A frequent presence in films by Mike Leigh ("Life Is Sweet," "Topsy-Turvy") and in more mainstream fare ("Gangs of New York," "Moulin Rouge," "The Iron Lady," "Cloud Atlas"), Broadbent's gift is to make the seemingly ordinary larger-than-life without appearing inflated or false. In "Le Week-end" (which makes its U.S. debut today at the New York Film Festival), his Nick Burrows is the kind of '60s rebel who would have smirked at the thought of "plastics," but who settled into a comfortable life as a professor -- and now questions how much of his life was wasted (maybe "plastics" wasn't so bad a path to take after all . . . ). Now that life -- including his marriage to Meg (Lindsay Duncan, of "Mansfield Park" and "Under the Tuscan Sun") -- is teetering on a precipice. Meg has doubts whether the jaunt to Paris is worth it as the euros fly out of their hands. But much of the film's intrigue is to see her wrestle with her feelings towards Nick, which flip on a dime from annoyance to delight to condescension. The inhibitions Meg dangles in front of Nick (which bring out his own insecurities and flaws) are a measure of her bifurcated self-worth: on the one hand, a wife, teacher and mother with expectations held against her, and on the other a woman who isn't sure how much independence she needs, or can handle, now that the nest is empty. As the history of their relationship unfolds before us, we get a well-rounded picture of a husband and wife who are both comfortably familiar and estranged. Nick envisions a fresh start in Paris, an excuse to jettison the baggage of the past, while Meg questions whether she wants Nick around as her baggage-handler at all. Their itinerary takes an unforeseen turn when they accidentally bump into an old friend of Nick's, Morgan (Jeff Goldblum), a successful writer now living in Paris. Morgan invites them to a party, at which the couple's view of their marriage -- and of their own limitations -- is subject to outside scrutiny in ways few unions might survive. The charm of "Le Week-end" -- if such painful self-examination can be charming -- comes in the plot's serendipity. Like an unplanned weekend in a city where walking presents the tourist with unexpected sights (or old, familiar haunts), the narrative never drives the characters to behave in expected ways. In fact, there is much hidden within these two that comes out during three days in Paris precisely because, in a way, they are lost without a map. 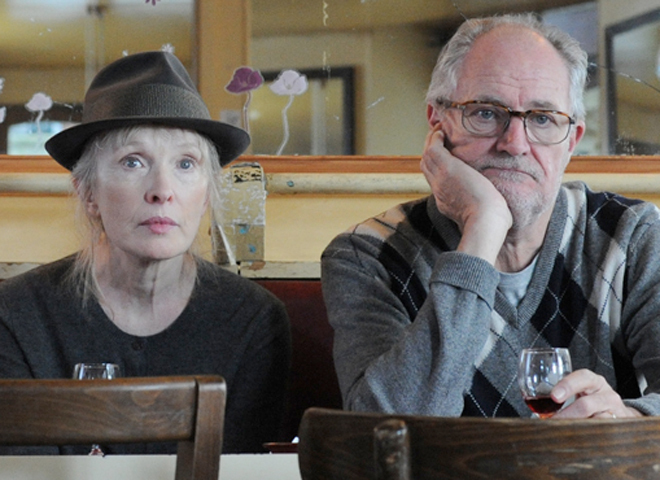 It's to the great credit of "Le Week-end" that the filmmakers don't tell them where to go. Written by Hanif Kureishi and directed by Roger Michell (who last year debuted his Bill Murray-starrer "Hyde Park on Hudson" at the New York Film Festival), "Le Week-end" will be released in limited engagements by Music Box Films on November 1. The film, not yet rated, contains language, adult themes and sensuality -- hey, it's Paris! Review: Not envious of "Jealousy"
NYFF review: The Coen Brothers' "Inside Llewyn Davis"
Images of revolution: "The Square" and "The Missing Picture"